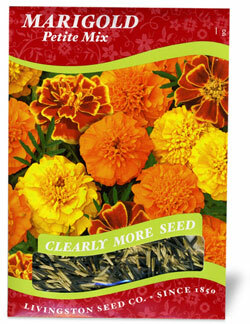 Don't let the name fool you; this specialty variety gives you big flowers on compact plants. Rich, warm hues of gold, mahogany, orange and even bicolor will light up your garden or window box. Plant in mass or add a spot of color where needed. Garden Tip: Easy to grow. Deadheading prolongs blooming through the summer.